Oklahoma is home to a great number of master chefs willing to share their wealth of culinary knowledge with the public. Across the state, you’ll find recreational cooking classes and demonstrations. From learning to cook the best in Italian fare, to becoming a baking guru, you’ll find a class to suit your taste. Here are the 10 best cooking classes in Oklahoma. Award-winning chefs from across the country bring their talents to the classes at the International Pantry. The classes change with the season, but you’ll find an assortment of different observation classes where the chef cooks for you and you enjoy their creations. You receive recipes of each dish so you can go home and create it yourself. Francis Tuttle has a culinary arts program to teach adults to be chefs, but you want the Adult & Career Development classes. Summer classes included, breadmaking, canning, eggs benedict and desserts of Italy. These classes are hands-on, and typically last just an evening or Saturday morning. Bring your apron. Look under events for upcoming cooking classes at this grocery store. You’ll find classes for kids and for adults, although the ones for adults are more like a show, not hands-on. Come out for a meet-the-rancher opportunity to learn more about why you should buy locally raised beef. The Girl Can Cook isn’t just for the ladies. Adults of all ages and genders are welcome. Go to the class calendar and find all types of classes from fish tacos to date night to get hands-on experience with new cooking techniques and learning new cuisines. Edible Adventures is the recreational cooking classes program through Platt College. Upcoming classes include date night, gluten-free baking, grilling and “chocolatology.” The courses are hands-on and make a great date night or girls night out. At Belle Kitchens, you’ll update your baking skills with one of their unique classes. In August, it’s a “Fancy Unicorn Macaron Class” and they have a summer cooking camp for kids. You’ll want to check their calendar for fall classes because who doesn’t want to bake something special for the holidays? OSU offers this series of cooking classes as part of its wellness program. The fall schedule is not out, but the Seretean Wellness Center confirmed that they would be offering classes in the fall. The website is out of date. 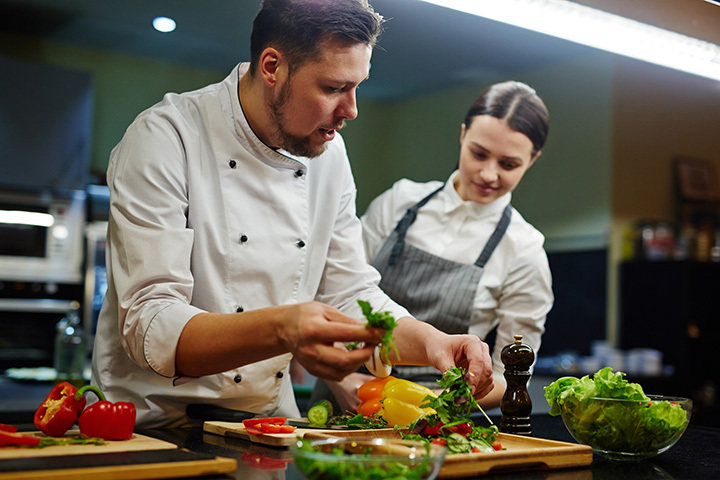 Offered as part of the OSU Institute of Technology Culinary Arts program, these luncheons are prepared by an expert chef and during lunch, the chef will discuss the dishes that are served. Technically, not a cooking class, but an opportunity to learn more about cooking from some excellent Oklahoma chefs. Although the website hasn’t been updated, I did confirm that this program was offering August classes. The Get Fresh! program is sponsored by a grant through the Chickasaw Nation, but it’s open to everyone. They can offer cooking classes to groups and kids, or you can go to one of their scheduled shows. If you need more ideas on how to use Oklahoma seasonal produce in your cooking, check these demos out. This small technology center doesn’t offer many cooking classes, but it does have a few programs. The short-term continuing ed courses change with the season, but over the summer, you could have taken a cake decorating class or learned home canning basics.